Researchers from the Harvard T.H. Chan School of Public Health and Brigham and Women’s Hospital conducted a study which lasted for 8 years and analyzed the potential link between mortality rate and thriving vegetation. They examined data from 108,630 women in the period between 2000 and 2008. The basis of this relationship lies in several components. Namely, people who live in the midst of plants have a lower risk of depression, but have “increased opportunities for social engagement, higher levels of physical activity and reduced exposure to air pollution”. Therefore, if you have not been blessed to live in the country, you can still surround yourself with greenery by decorating your home with houseplants. 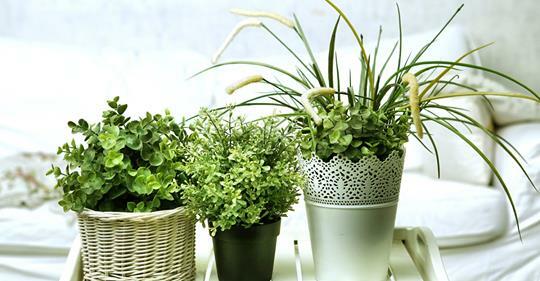 When it comes to houseplants, NASA made a list of the most beneficial air-purifying houseplants one can keep at home, and these include Boston ferns, spider plants, peace lily, and English ivy. Also, lavender and jasmine are highly beneficial and will help you relax and fall asleep easily. So, buy your houseplants as soon as possible, and make sure you use your time to go for a walk in the woods whenever possible, and you will successfully add a few extra years to your life!